Media relations is a huge part of public relations and my role as a PR account executive. 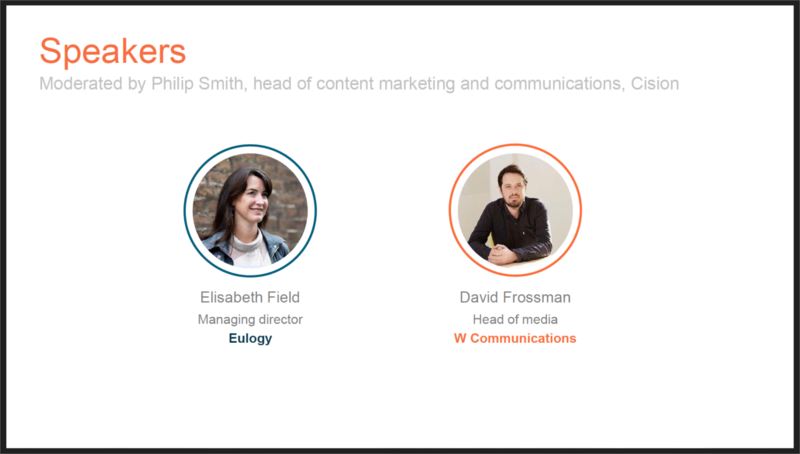 So when companies like Gorkana, a company providing media intelligence to the PR industry, hold webinars with relevant topics like trends in media relations I try to catch them to keep on top of industry changes. I find webinars a little bit hit and miss. They either offer a lot of take home value or it’s information you already know. Unfortunately this one was the latter and I was disappointed at the lack of value added from the people running it. The webinar didn’t really have any information about media relation trends for 2018 and just reiterated points that you’d already know if you worked in the industry. I really lost faith when one of the main speakers stated that she’d not done media relations directly for several years now. HUFF. I let out an audible huff at this stage and began to become disengaged. Why was I listening to someone who wasn’t actually liaising with the media anymore? This industry changes so frequently and the last few years have introduced some of the biggest changes to PR and media relations. I wanted someone who give an indication to trends for 2018. The only way this would have been useful is if you were brand new to PR and even then I think a lot of this you’d have got if you’d done a degree in PR, done an internship or have a mentor. The closest it got to covering an issue that was relevant to media relations in 2018 was fake news. But, even then I’d say this was an issue you’d need to have addressed in 2017. Any PR worth their salt knows that providing fact checked releases that are truthful and honest is the only way to work. The webinar did support the point that I’ve been making for ages that only regulation for social media platforms will put a stop to fake news. Regulation like the rules that journalists adhere to doesn’t stop free speech but it does require the facts to be checked and that’s the important bit. Personally I don’t think much will change in 2018. The biggest change came last year with a big push on video content which I think will carry on – so make sure you’ve got some great video content for your clients and the press so you can nurture those relationships! Bloggers, vloggers and influencers will also continue to be important and media relationships with these groups will see extensive growth. This is nothing new though! If the government or the platforms themselves introduce regulations on content being published I should imagine this will only effect you if you’re spreading fake news or inappropriate content. So realistically this wouldn’t effect PR professionals who fact check and adhere to basic journalist standards. Perhaps this should of been a webinar coaching professionals about how to nurture relationships with the media? Or how to nurture relationships with newer types of media contacts like bloggers? Most of the questions asked at the end focused on how people can start or develop relationships with their media contacts. So I’m throwing the question out to those of you working in PR. Can we add some value to this topic? What do you think will be the trends in media relations this year? 2018 future trends media relations PR Public Relations Relationships trends webinar what do you think?